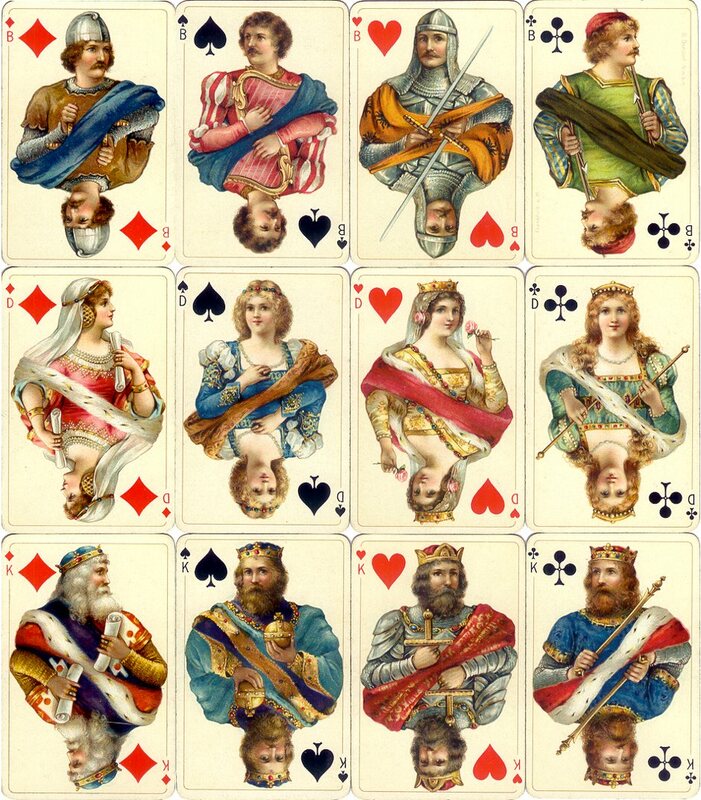 Another of Dondorf's masterpieces of chromolithography, the detailed artwork on these cards has multiple tints and highlights giving the figures a brilliant, glossy character. The fabric of the clothes looks like velvet, the metal parts of the crown, sceptre and armour seem highly polished. The young men appear tender, young and handsome whilst the Kings have shining hair and beards. All the eyes are shining. 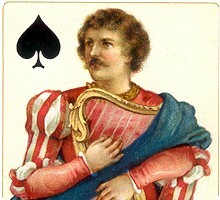 Later editions of this deck are no longer printed so carefully, the colours blend into each other, their brilliance greatly reduced. 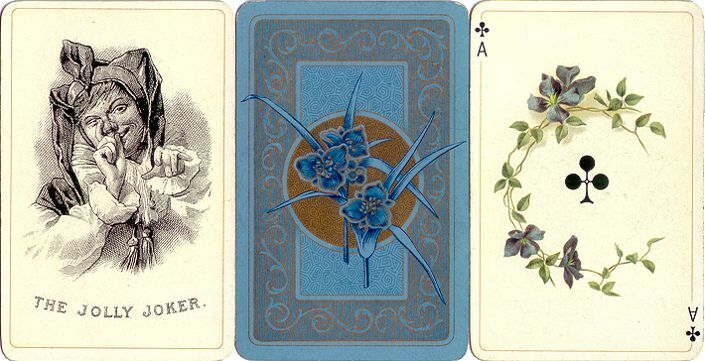 Above & right: cards from Dondorf's 'Luxus Club Karte No.184' published c.1900 to 1916 and also exported to Denmark through the agent D. Voigt & Co. 52 cards + Joker in box; 92x60mms. Images courtesy Barney Townshend. Hoffmann, Detlef and Dietrich, Margot: "Die Dondorf'schen Luxus-Spielkarten", Harenberg, Dortmund 1983.